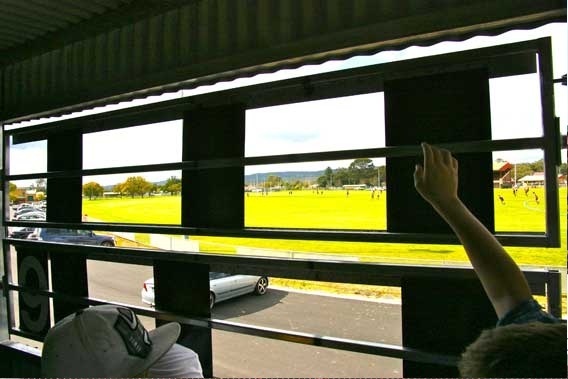 On Good Friday 2011 I pulled into the empty Harvey Recreation Ground and looked around. I looked again. No scoreboard. 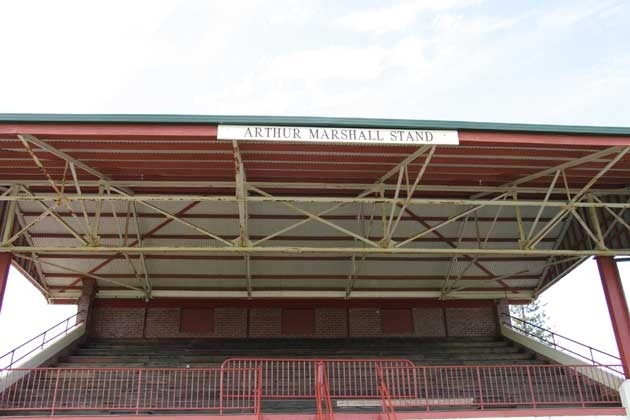 Luckily there was someone else at the ground and he looked like he might know something. He did. 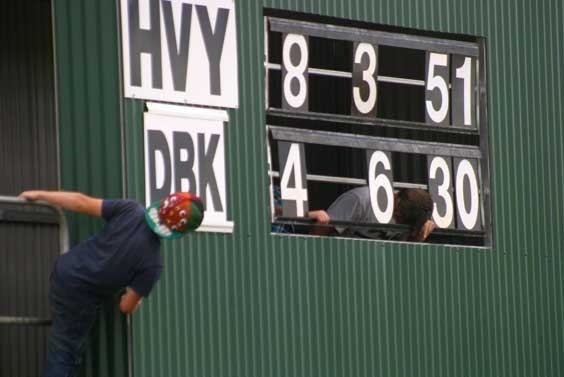 A new scoreboard was being constructed by a local engineering mob run by a bloke named Italiano. 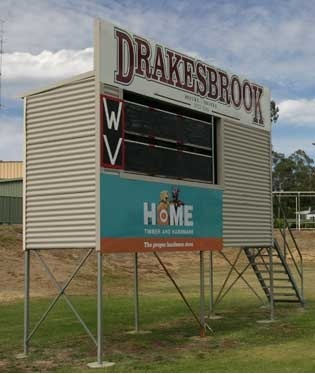 The design for the new board was based on the one at nearby Waroona. The most prominent player I’m aware of to have come out of Harvey is Bruno Italiano, who played for South Fremantle and East Perth and was drafted by Collingwood at number 46 in the 1991 national draft. He didn’t play a game for the Pies and in fact spent a lot of his time in Melbourne and Perth sidelined by injury. He met with more success when he returned to the bush where he starred with the Harvey Bulls in the Peel Football League. 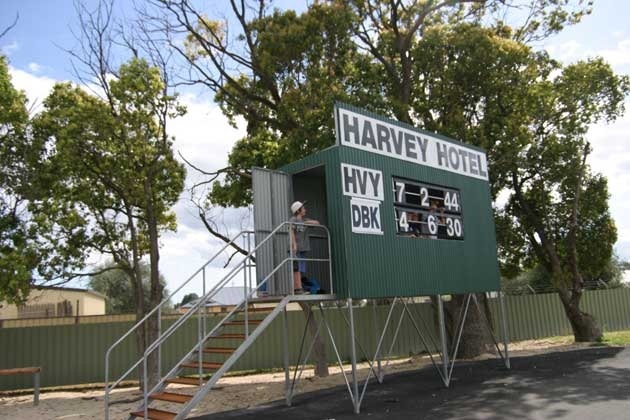 The Harvey Bulls left the Peel league and joined the South West Football League in 2009. 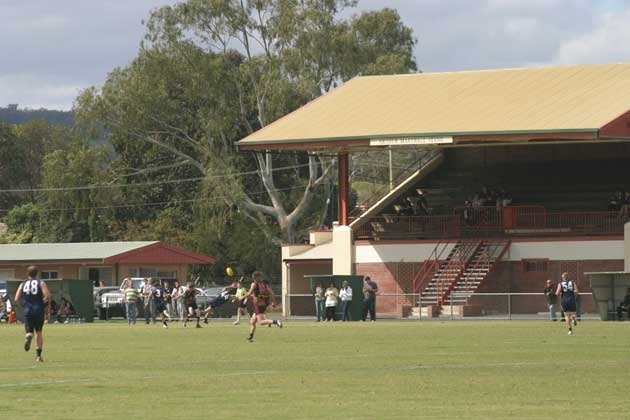 They were welcomed by all SWFL clubs except Harvey Brunswick Leschenault who have their home ground at Brunswick Junction. 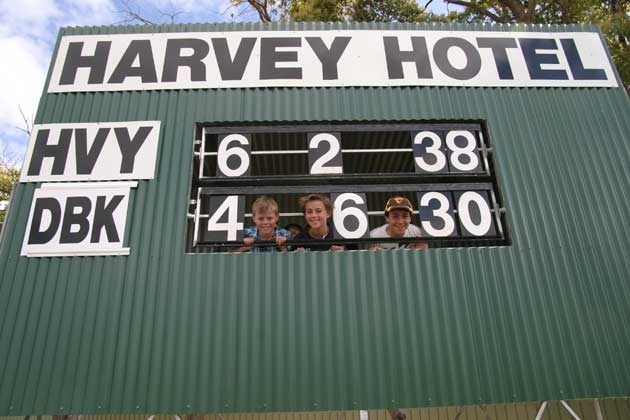 The scoreboard was up and running when I next visited Harvey with an enthusiastic crew of youngsters running the show. For Aaron and Angelo being a scoreboard attendant was a paid job, the others were just there to help. 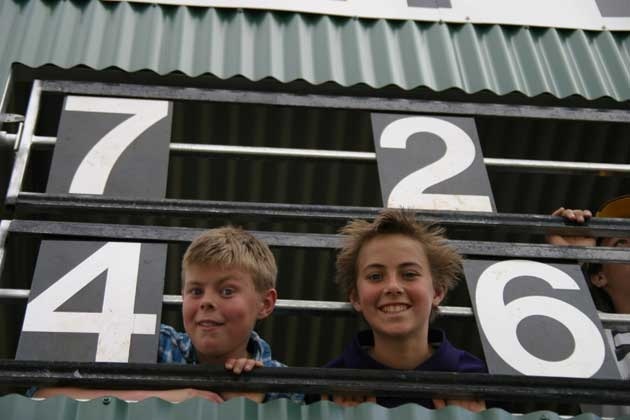 The team work meant the scores were posted very quickly at Harvey. When asked about the appeal of the job Aaron, a Freo supporter, gave a laconic country reply: “It’s something good to do,” he said. It was a response worthy of the Dalai Lama.